It seems like R-rated movies are having a bit of a resurgence recently. After the commercial success of gory films like Deadpool and Prometheus, it looks as though studios are ready to put their trust in the selling power of a good-old fashioned adult-orientated blockbuster. The Predator is the first new entry in the franchise since 2010’s enjoyable Predators. While many fans seem hesitant to get their hopes up after vomit-inducing recent sequels to 80’s classics ( we’re looking at you Terminator: Genisys) The Predator is looking like it n might deliver. Having given audiences classics like Kiss Kiss Bang Bang and the surprisingly enjoyable Iron Man 3, Black has shown a deft ability to deliver both humor and action in equal doses. With neither Predator or its sequels truly addressing where Predator came from or what its motivations are, Black promises that the upcoming sequel will finally to give fans some long wanted answers. He also hints that the alien bounty hunter’s purpose may well have changed. “There’s a lot of great stuff in the Predator but it’s very simple. Guys get dropped in a jungle, and there’s an alien monster, and they fight the monster, and they all die except for one — spoiler alert! — and then the thing self-destructs, and there’s a nuke, and then [Arnold Schwarzenegger] flies away. It’s relatively simple. And our idea was, Okay, we know that story already. What’s behind the curtain? Why are they here? What are they doing? What’s the bigger picture of this?… I think these are questions you can answer, or at least explore, without defeating that sense of scariness. And who knows if their agenda’s changed? Aside from X-Men: Apocalypse actor Olivia Nunn, the cast confirmed so far is full of relatively unknown actors. With the movie having just entered pre-production, the plot details and setting are still being kept tightly under wraps. Given the recent news that Gore Verbinski’s Bioshock movie was canned due to Universal deeming an R-Rated movie too risky, the news of a gore-tastic new Predator is a welcome releif. 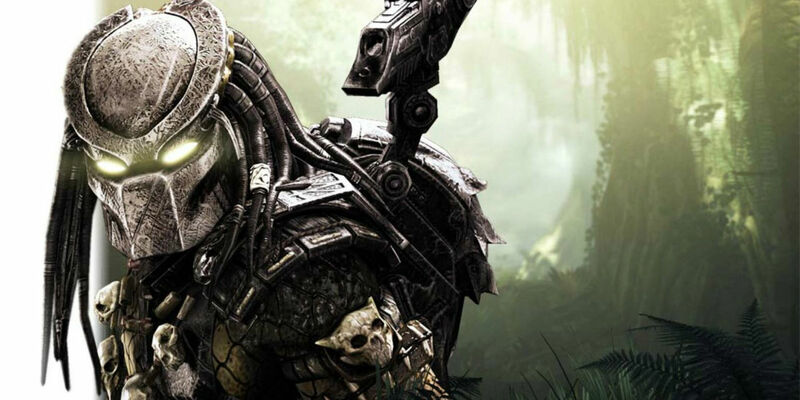 The Predator is due to hit theaters sometime in 2018.